Let the real season begin! Of course, for the teams that didn’t make the playoffs, the real season has just ended for them. 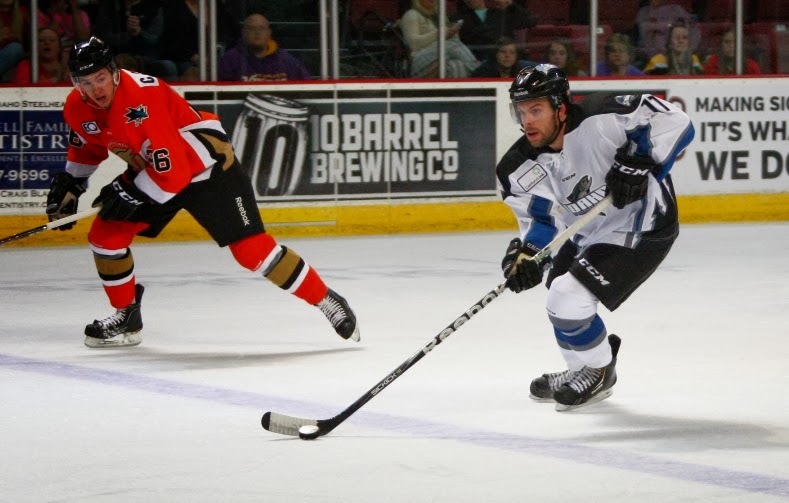 For the Idaho Steelheads, they qualified fourth for the Kelly Cup playoffs but have known that they would be in the postseason after the San Francisco Bulls folded earlier this season. It marks the eleventh straight season the Steelheads have made the postseason in their ECHL history. They finished their season winning seven of their last ten games and had a chance at the number three seed if they could have swept the Utah Grizzlies in the last weekend. They lost on Friday in regulation, and that took care of those aspirations. The end result may have worked out for the best as the Idaho Steelheads drew the Colorado Eagles for the second year in a row in the Conference Quarterfinals. They defeated the Eagles 4-2 last year with three of those games going into overtime. If Idaho finishes 3rd in the standings or if Bakersfield won their last game of the season, it would have been Idaho against Bakersfield and ECHL Rookie of the Year runner up goaltender Laurent Brossoit. So perhaps things worked out for the best for the Steelheads, as now Utah and Bakersfield will play each other in the other side of the bracket. Utah has Aaron Dell and Igor Bobkov on their team, who are both top 10 goaltenders in the ECHL this year. Let them knock each other around and out. Two awards have been handed out to Idaho so far this season. Both of them going to rookie William Rapuzzi. He made the ECHL All-Rookie team and followed that up with the Rookie of the Year award. For the season, Rapuzzi finished tied for second in rookie scoring with 58 total points which led the Steelheads. He was also at the top of the entire league when it came to power play scoring. He beat out the previously mentioned Brossoit in that category. Idaho’s playoff roster will consist of 13 forwards and 8 defenseman along with 2 goaltenders. Forwards: Mitch Wahl, Tommy Grant, William Rapuzzi, David deKastrozza, Luke Judson, Justin Mercier, Gaelan Patterson, Jason Bast, Anthony Nigro, Brett Robinson, Rob Linsmayer, Brock Montgomery, Andrew Conboy. For the playoffs, teams are allowed a maximum number of 23 players. 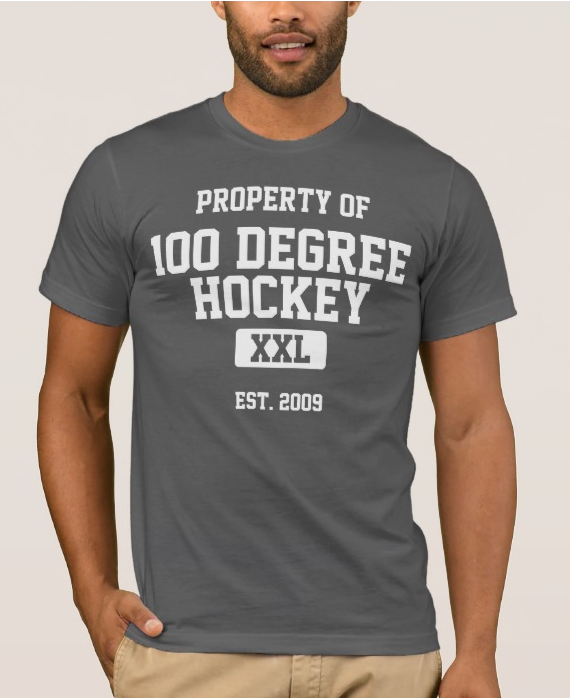 If Idaho wanted to add players later, they would have to leave an open spot on the roster. Head Coach Brad Ralph decided to fill all 23 of his roster spots prior to the start of the post season, so there is no room for Austin Fyten or Taylor Vause to be added at a later date. With both Texas (Vause) and Oklahoma City (Fyten) in the playoffs or fighting for a playoff spot, Ralph is not expecting either of those players to become available early enough to where they will be able to help the team. With regards to Colorado, the Steelheads went 7-2 against them this season including winning all five games at home while splitting thefour road games. Tommy Grant led all Steelheads in scoring against the Eagles with 9 points (4g,5a) while Kevin Young led Colorado against the Steelheads also with 9 points (4g,5a). 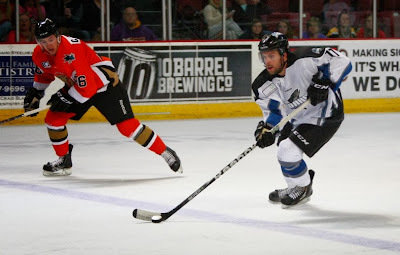 It would be a severe overlook for the Steelheads to forget that Colorado still have the likes of forwards Trent Daavettila and Kyle Ostrow, both with 66 points, and defenseman Mark Nemec who had a +37 rating on the season. This series is going to be won with goaltending. Both teams like to play more of an offensive brand of hockey and while the Steelheads have more “stay at home” defenseman than the Eagles do, four of them are rookies and two of them have been with the team for less than a month (McDermott and Czarnowczan). The Steelheads can throw out the goaltending duo of J. Robinson and Nagle, while Colorado will have to throw out the likes of Dustin Butler and Eric Williams. I can’t see a reason why Ralph would not go with Robinson in net, but in my mind no matter which goaltender Idaho starts, the advantage in net has to go to Idaho and with that in mind, I believe that Idaho will advance to the second round of the playoffs. In the ECHL the format is a straight one through eight seeding with no re-seeding after each round. The winner of the Idaho/Colorado series will play the winner of the Alaska Aces/Las Vegas Wranglers series. The other side has the Ontario Reign and the Stockton Thunder meeting in the 2/7 match-up and Utah/Bakersfield in the 3/6 with those winners playing each other. My quick picks for the other 3 series are Alaska in 6, Stockton in 6 and Utah in 7. All of us out here in Idaho are hoping for not only a first round win but also another deep playoff run to back up the run to the conference finals last season.